Need a healthy side dish to feed a crowd? 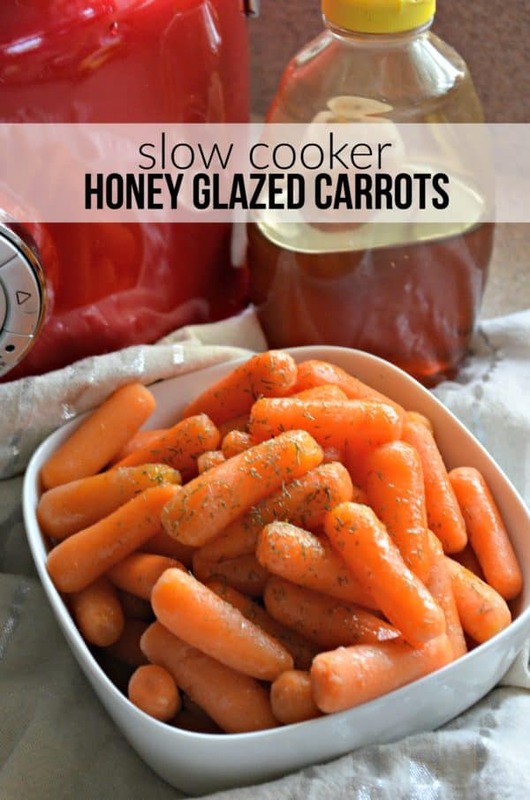 Try this recipe for Slow Cooker Honey Glazed Carrots–they take less than 5 minutes to prepare and 3 hours of no fuss cooking! I’ve always had a love for honey-glazed carrots. For as long as I could remember my mom would make them for us for dinner–typically at least once a week. Now as an adult, I don’t find myself making them as often. A few months ago I started brainstorming new recipes to make, and that’s when it occurred to me that I should try to make the famed honey glazed carrots in the slow cooker. I’m always looking for easy meals in the slow cooker, and most recently I’ve gravitated toward side dishes in the slow cooker. With the holidays in full speed and entertaining at its highest of the year these Slow Cooker Honey Glazed Carrots are sure to be the hit of the party, and on the healthier side then most of the cream-filled casserole side dishes we typically find at pot lucks and parties. Preparing this carrot side dish is extremely simple. Even the least talented cook can totally pull off this side dish and wow their friends and family. 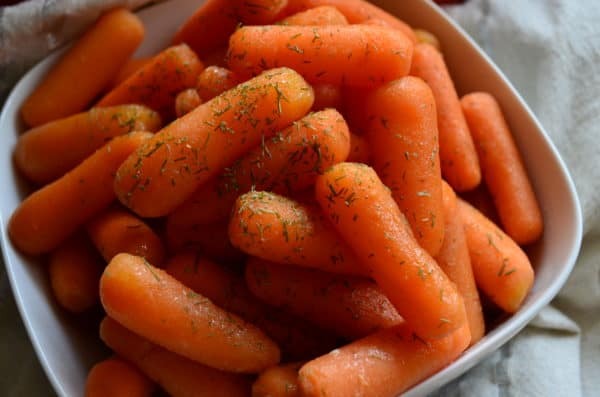 All you need to do is pour the baby carrots into a slow cooker. I used a 5 quart multi-cooker; however, any size slow cooker will work. I then cut the unsalted butter into small cubes and scattered the butter around the slow cooker. Then I drizzled honey on top of carrots. I use a local Orange Blossom Honey that we get at our farmers market here in Florida. Any honey will do. Then all you have to do is place lid on top of the slow cooker and cook on high for 3 hours. That is it! Once the carrots are done cooking I like to sprinkle the dill on top of the carrots. I mix it well and then drizzle with additional honey before serving. The best part is that you can actually eat them right away or keep them on the “warm” setting and eat them when you’re ready! During one of my test runs I also froze the leftovers of the honey glazed carrots, defrosted them a few weeks later, and reheated on the stove top. They were just as good! So if you’re overwhelmed by the large quantity–don’t be! 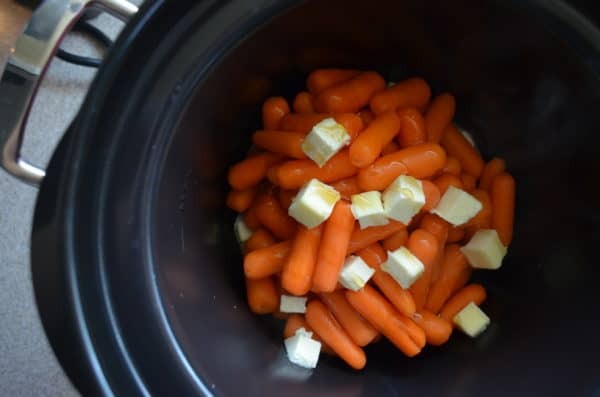 If your looking for a new side dish I highly suggest you turn on the 5 quart multi-cooker and give my recipe for Slow Cooker Honey Glazed Carrots a try!